and finally your dog needs to be left with a stranger for 3 minutes. Everything must be completed with your dog being calm and relaxed and under control. They need to show discipline and that they can follow commands. 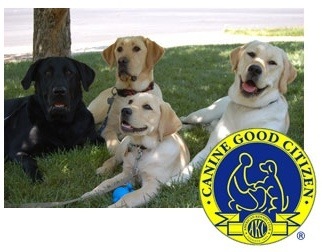 Your dog must be at least 1 year old to take the test and after the CGC test your dog has more opportunities to receive other certifications like being therapy dog certified. If you are interested in CGC testing and need lessons contact your local trainer.